Unquestionably, Maya Angelou stands as one of the most influential poets for the human race. Graced with an extraordinary touch that could gently sway one minute and fiercely attack the next, Angelou (who passed in late May of 2014) championed for urban social injustices and other pressing issues with her mighty pen. 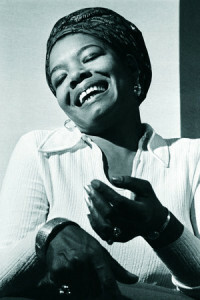 Her autobiography, I Know Why the Caged Bird Sings, explores a number of areas that Angelou has been firmly passionate about, including literacy and racism. A portion of Angelou’s extensive poetry gems capturing the quintessence of her streetwise savvy comprise the seven year recorded investment, entitled Caged Bird Songs from Smooch Music and founder of Caged Bird Legacy, Colin A. Johnson, Dr. Angelous’ grandson. 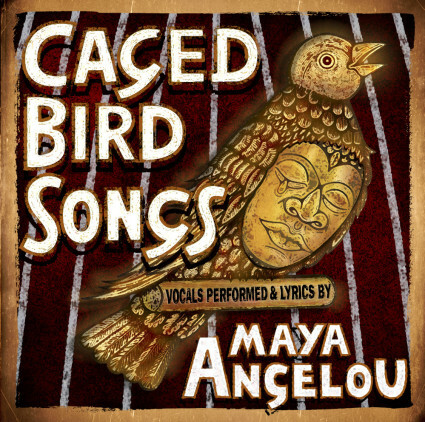 Caged Bird Songs features thirteen tracks, anchored by a soundtrack guided by producers Shawn Rivera (Az Yet) and RoccStarr (Rhianna, Usher) with a mix of Angelou’s previously recorded and newer vocal tracks covering a number of topics extremely relevant for this day and age.